The Xiaomi Mi 5 is my new obsession. The new flagship from Xiaomi, the much-hyped Chinese startup, was on everyone’s lips when it launched in Barcelona last week. “A premium phone for US$350? No way,” was on everyone’s lips. If you haven’t heard of it yet, the Mi 5 is kind of a big deal. Here’s why I’m obsessed with it. The Xiaomi Mi 5 ticks practically every box you’d want from a flagship. It runs the Snapdragon 820, Qualcomm’s latest and best smartphone chipset right now. This is complemented with 3 GB of RAM, or 4 GB for the pro version. It has a very decent 3000 mAh battery, the same capacity that the Galaxy S7 has. The 16 MP rear camera, manufactured by Sony, is a solid offering for both casual and serious mobile photographers. You’re getting a lot with the Mi 5. It has flagship specs yet is priced like a mid-range smartphone. How did Xiaomi do this? This secret surrounds this phone in a veil of mystery and makes we wonder how any other manufacturer can compete at this level. Offer comparable hardware and performance to what Samsung, LG and Apple present with their flagships – but do it for roughly half the price. It’s almost preposterous. The Mi 5 looks like a carefully crafted piece of hardware an astronaut might use in space. Its finely-machined rear edges, which provide a smooth curve over the glass and metal surfaces, means it looks and feels good to hold. Yes, Xiaomi has been called the “Apple of China” many times, but the Chinese startup does have its own distinctive taste for industrial design. There are some clear similarities between the Mi 5 and phones like the Galaxy S7, with its rear edges and glossy finish. But there are similarities between the design of many smartphones – just take a look at the HTC One A9 next to the iPhone 6 – so I would take this with a grain of salt. At the end of the day, the Mi 5 looks like a premium device and this makes it even more desirable. That price. For around US$350, you can have a premium phone. This was hard to imagine even a couple of years ago. But as competition increases and Xiaomi gets better at improving its devices, the possibility to have a powerhouse like the Mi 5 for the price of a mid-range phone is here. I’m sure Xiaomi’s Mi 5 is going to sell in huge numbers, even to rival Apple with sales of the iPhone. Just as Apple has created a cult following around its phones, so too has Xiaomi created one around theirs – and this is spreading from China into Western markets quickly. Where desire becomes obsession, the Mi 5 is right there. I attended the launch event of the Mi 5 in Barcelona last week. Xiaomi was quite secretive about it, sending out invitations to the event without any location. The location was provided at the last minute, meaning the media had to scramble to attend. Once we arrived, charismatic Xiaomi international vice president Hugo Barra took the stage. The presentation was great. Not only did Mr. Barra keep the audience entertained (he repeatedly flirted with the specs reveal to laughter and applause) but he was also a showman. He created a buzz around the Mi 5, but also around the Xiaomi brand. After the presentation, he exited the auditorium on a Ninebot Mini. How many smartphone manufacturers are rolling around on scooters? Not so many. Are you obsessed with the Xiaomi Mi 5 too? Share your thoughts in the comments or tweet at me. OK Nice phone. Why do you spent so much time on it when you even can't buy it in EU en US.No warranty and Hugh importtaxes make the phone not so priceless. this shouldn't be a "this is why"
I wonder which phone is better: Asus Zenfone 2 or Xiaomi mi5? Are you kidding? Mi 5 of course. I've been waiting for this phone since details started to come to light. I do not want a 5,5" phone or even larger. 5" is large enough. I want Wifi AC, I want a notification light, I want a decent battery, I want full HD - not QHD or other marketing nonsense that only drains the battery like madness, I want a "good" camera with stabilization and I want quick charge and type-c. And this phone has exactly all of that. 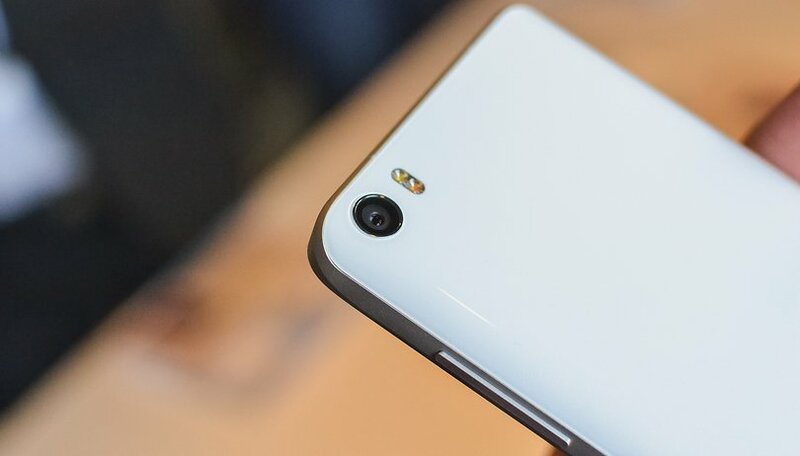 The only thing that worries me - and that's the only reason I didnt order the Ceramic-back version yet - is that the stories about the Mi Pad 2 frighten me a little. Out of the box, the Mi Pad 2 works like a charm in your own international language and then after an update, it suddenly only speaks Chinese and no other language anymore. And there is no proper fix for this, unless you start fiddling at a geek level. So I decided to wait until around early/mid april, when the first Mi5's will be shipping to the early adopters in the Western world. If there are no such problems, I'll be next in line. For sure. its better than the S5, at half the price. S5 is a rip off, compaired to a phone half the price. S5 S6were hype. shop around, i think there are phones half the price of tge S7, that are just as good. It's a great phone - hope you're not too obsessed as well! You really need to report the bands supported so people can more easily judge how this phone will work for them. Yes, I can google it up, but it should be part of EVERY REVIEW and OPINION piece. No matter how much you love a phone, if it doesn't work where your readers live, it's meaningless. Give your readers the info they need to really determine how good the phone could be for them. You idiot. Americans aren't the only ones who read these articles. "Obsessed" the word is weak! This is the PHONE for every faithful Android enthusiast! My next new phone definitely!! It's too much handle right? The Mi 5 is going to be big.